Before purchasing any strength services with Michael, feel free to message him or book a free video chat consultation to ask any questions you have. Every day I see runners, from the beginner to the elite, who come to me with specific needs ranging from injury, to performance. There is a common misconception that, in order to be fast, you must just run more miles, and unless you are hurt, you do not need to see a physical therapist or develop strength. As I dove into the running culture, I began to realize runners should not only run to get fit, but you must also be fit to run! Strength training is such an integral part to any training regime and what will keep you efficient when running higher mileage. I am here to ensure you remain injury free, and you are also performing on all levels. Runner specific strengthening, neuro re-education, and mobility tactics are why I am here to make sure you achieve your goals. 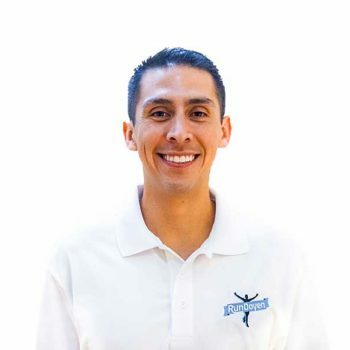 Michael has quickly become a large player in the physical therapy realm for runners in the Los Angeles area. After becoming a Doctor of Physical Therapy, he began treating many endurance athletes as this has always been a passion for Michael. He believes this is a population grossly undertreated, and simply deserves better than the dreaded line of ‘just take a week or two off’. Michael continues to practice what he preaches, as he has become a regular on the Boston Marathon starting line. His passion is to allow runners to be able to experience Boston as a participant and to foster lifelong running and training, as well as skilled and specific performance training that happens off the running path. To his coaching and training, Michael brings his lifetime experiences of running, treating the whole runner, and performance training for runners to enable them to perform well, with the reward of becoming a lifelong athlete.